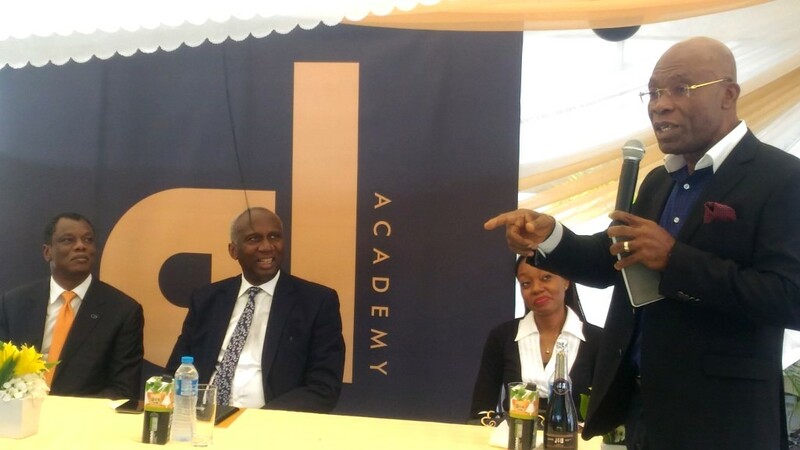 It was outpouring of praises on Thursday in Lagos for the founder of Ausso Leadership Academy (ALA), Mr. Austin Okere by industry icons for his intuitive intelligence in idealizing the centre, tailored to brush up entrepreneurs that are already on the speed lane to soar higher in their chosen fields of wealth creation. In his welcome address at the well attended commissioning of the Academy located in Lekki Phase 1, Lagos; Mr. Okere averred that the idea came in his quest to give back to the society and to retrain already top flight entrepreneurs’ who are on the speed lane of their businesses to achieve more and inspire more in business development. Explaining more, the founder of CWG Plc, posited that “The need for resourcefulness and an innovative mindset to reinvent oneself when disruption knocks on the door is a key skill every business needs to survive present market realities. The huge gap in the business ecosystem is due to the lack of a personalized mentorship programme to complement what professors teach at the business schools”. “Otherwise, the Ausso Leadership Academy is a medium for experiential skill transfer, emphasizing what has worked and the pitfalls to avoid,” Okere alluded. He said though there are windows for beginners’ in the Academy, “The ALA was set up to mentor entrepreneurs to institutionalize and scale up their businesses geometrically”. “We believe that the ALA fills a huge vacuum in making practical and democratizing entrepreneurs hip so that differentiation is majorly through intuition, acumen and luck, rather than by a lack of basic knowledge of a workable methodology,” Okere averred. In his keynote address, the pioneer executive vice chairman of the Nigerian Communications Commission (NCC), Dr. Ernest Ndukwe welcomed the academy and praised the vision of the founder, saying “The centre will serve as knowledge central bank for leading business owners to come for refueling of their business development ideas that will raise their marginal deliveries in corporate management from time to time”. According to him, “Time has come for even the extension of the ALA services to political leaders so as to retrain both public office seekers and those already holding the offices on the best ways of delivering the services for which they were either elected or appointed,” saying such consideration will “help the system get leaders that will give the best deliveries and scale up public services in the country”. In his goodwill message, the pioneer investor in Nigeria’s Information and Communications Technology (ICT) and chairman of Zinox Technologies, Mr. Leo-Stan Ekeh disclosed that “The ALA will fine-tune the business development and management mentality of chief executives on how best to achieve more using the same workforce and materials in the competitive world of business”. He decried that “beyond attending the Havards, Cambridge and Oxfords of this world, Nigerian business leaders though they have the needed energies, they lack process and structure to go that extra mile that will make them global brands”. However, he was quick to note that “ALA will become that game changer that will positively fine tune the mindsets of Nigerian top flight business leaders in to believing that beyond whatever they have achieved in their businesses, they can aspire to inspire more in their chosen carriers”. Conducting media executives round the world class learning facility made up Amphitheatre, lecture rooms, conference halls and other paraphernalia of a matured academic environment, Okere said some mega companies have already signed on to begin training. He revealed that the pioneer flagship masters class in the academy is billed to begin on the 17th of April even as other structured classes are being filled up gradually at the academy. In her remarks, a Director at the Lagos Business School, Ms. Olamide Ibitoye congratulated the founder for his vision and charged him to remain focused in his drive to change the weak mentality of Nigerian business leaders to positivity and greater business development and management success. Other top business executives in attendance include the chairman of the Nigerian Economic Summit Group (NESG) and other business leaders.